Soon you may be able to soundproof your house with an ‘acoustic cloak’, if research by a series of Spanish scientists comes to fruition. The boffins are working on technology that could soundproof everything from your home, to concert halls and even stealth warships. Basically the tech makes objects invisible to sound waves. 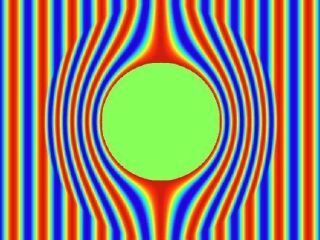 Professor John Pendry of Imperial College London, spoke to the BBC about the technology and said: “The mathematics behind cloaking has been known for several years. The scientists seem to think that the answer for the cloak’s material comes in the form of sonic crystals. "Unlike ordinary materials, their acoustic properties are determined by their internal structure," says Professor Pendry about the meta-material. If they crack the commercial market with the ‘acoustic cloak’ there could be plenty of use for the material. On top of the list is the Military who could use it to conceal submarines, but it could also be used in the home to get the Environmental Health of your back for noise pollution.